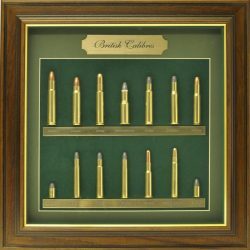 British Cartridge Collection containing a range of RTO (roll turn over) collectors British shotgun cartridges by Eley/ Kynoch etc. 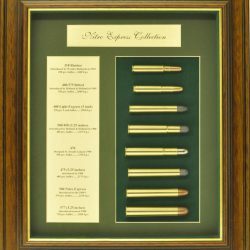 inc 8g, 10g, 12g, 16g, 20g, 28g, 410 & 9mm Garden gun in brass & paper and a large selection of British brass cartridges inc. 600NE, 577 NE, 577/450 Martini Henry, 577 Snider, 505 Gibbs, 500 Jeffery, 500 NE, 50-0/465, 476, 470, 450 carbine, 425,404, 318, 350 Rigby, 318 NE, 455 Webbley, 450 Revolver, 300/295, 297/250 Rook, 297/230 Morris. 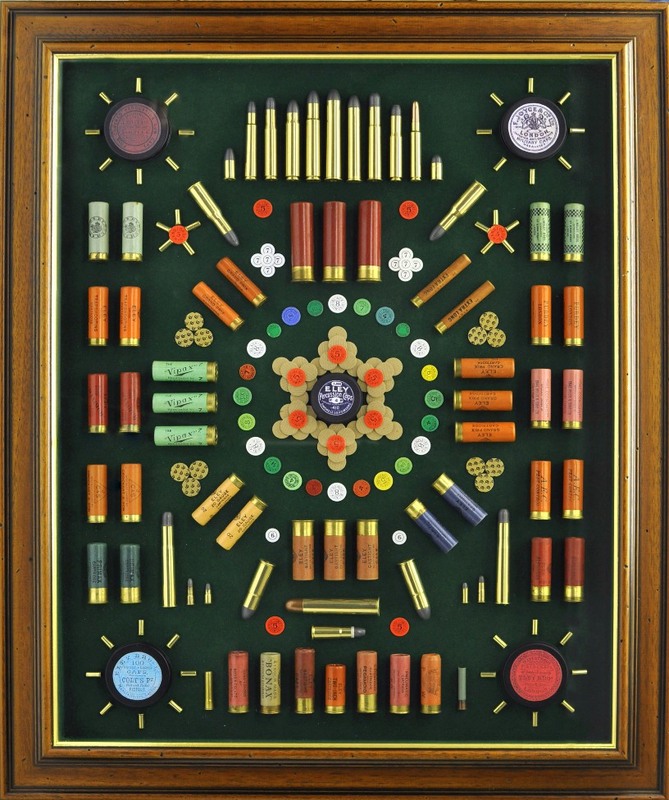 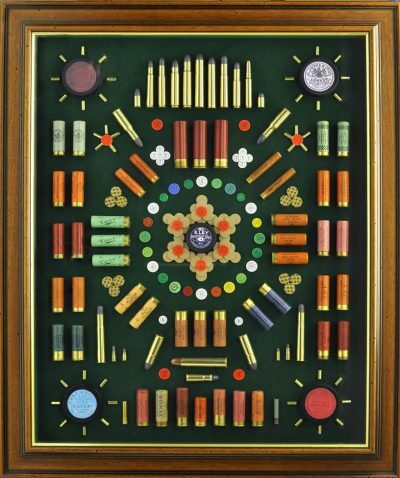 Housed in a 64mm Antique style frame, with green baize background and containing primer tin and label and over shot cards. 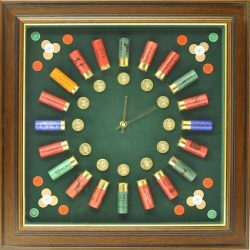 These displays are SPECIAL ORDER ONLY and in very limited supply so please make contact before purchase to check availability. 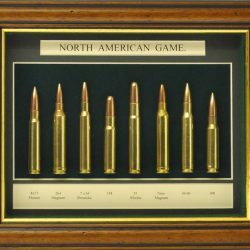 Due to cartridge availability each display is unique.